It was a big day with a 5’6” Tarpon to the boat and two nice sharks. Nice One Richard! The Tarpon video will be up soon. Call Captain Russ with Tide Walker Charters for your day in the sun. Local in Cape Coral, from offshore to intercoastal, from Texas Coast, Louisiana, both coasts of Florida to the Keys, he has fished it. 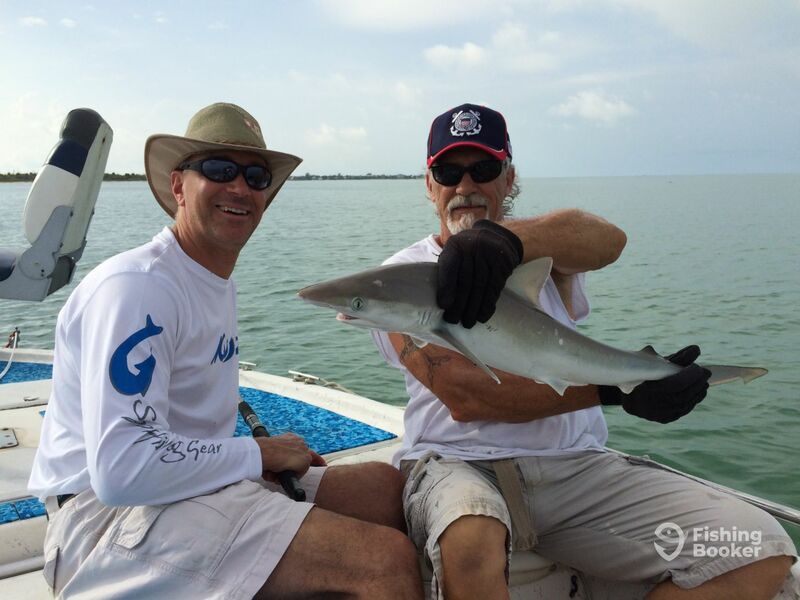 Captain Russ has spent more than 38 years fishing and is happy to share his knowledge with all who are interested. Apart from fishing, he is also an accomplished public speaker, as well as poet and painter besides. Rollers Rollers Thar B Tarpon over Thar.